PRABHAV CREATIVE SOCIETY is located in Ara Bihar . PRABHAV CREATIVE SOCIETY is registered as a Society at PATNA of state Bihar with Ngo unique registration ID 'BR/2015/0086270' . 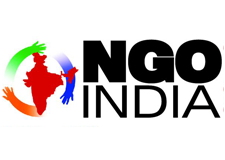 The NGO registration is done by Registrar of Societies with registration number 1187/2008-09 on the date of 22-09-2008, Its parent ORganaisation is N A. The Chairman of PRABHAV CREATIVE SOCIETY is VISHNU SHANKAR and Chief functionary officer is KAMLESH KUNDAN. Promoters are MANISH RANJAN, MUNNA KUMAR, GOVIND KUMAR,GULSHAN PARVEEN.